Sunny 92.3 wants to help your family make memories at Dollywood’s Harvest Festival! Just write down the rides, attractions and shows we announce inside the 9,2 and 3 O’Clock hours each weekday. 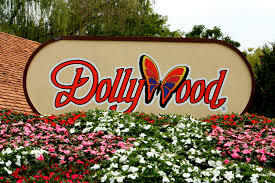 Then listen for your cue to call between 5 and 7 and when you hear it be the ninth caller at 423-642-9236 and you’ll instantly win a four pack of tickets to experience all of the colors of fall at the Dollywood! !